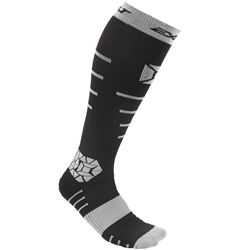 The Exalt Compression sock combines polymer-reinforced tension bands with a breathable, flexible sock for unparalleled performance. 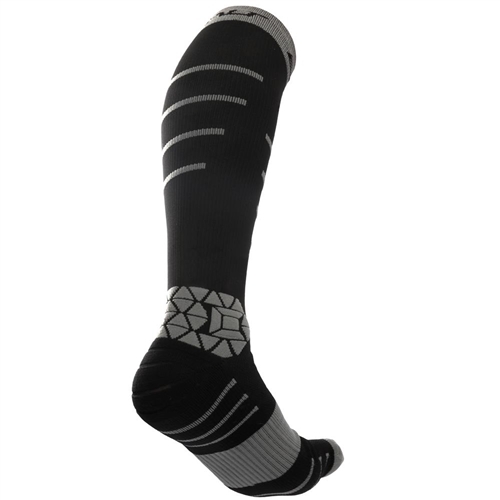 Compression bands increase circulation and relieve lactic acid buildup, promoting rapid recovery, increased circulation while supporting and aligning critical muscle groups. Three-dimensional padding protects the ankle and provides additional padding on the bottom and rear of the heel, and is woven with integrated venting in all the right places. 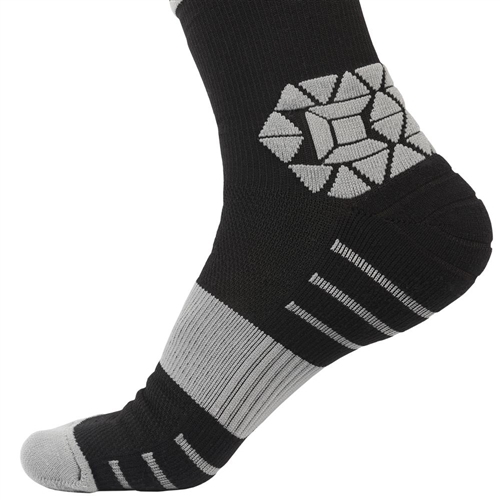 Two sizes fit most, available in black / grey only.